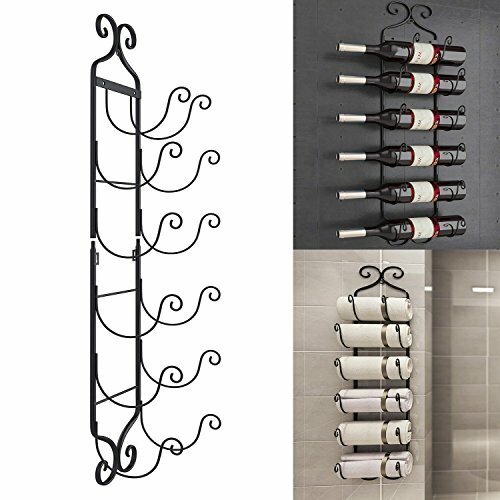 The wine rack is made of the good quality metal material, anti-oxidation, and anti-rust. Beautiful and attractive appearance, the simple yet elegant design of the wine bottle rack. Efficiently maximize storage space, matches any home, kitchen, dining room, wine cellar or bar. The wine is stored horizontally on the countertop, ensuring both the wine and the air bubbles are in contact with the cork, keeping corks moist, so that the wine can be stored longer. Easy to assemble, convenient for use. Scientific storage method., great gift for general family, wine collectors and expert connoisseurs. If you have any questions about this product by Vividy, contact us by completing and submitting the form below. If you are looking for a specif part number, please include it with your message.